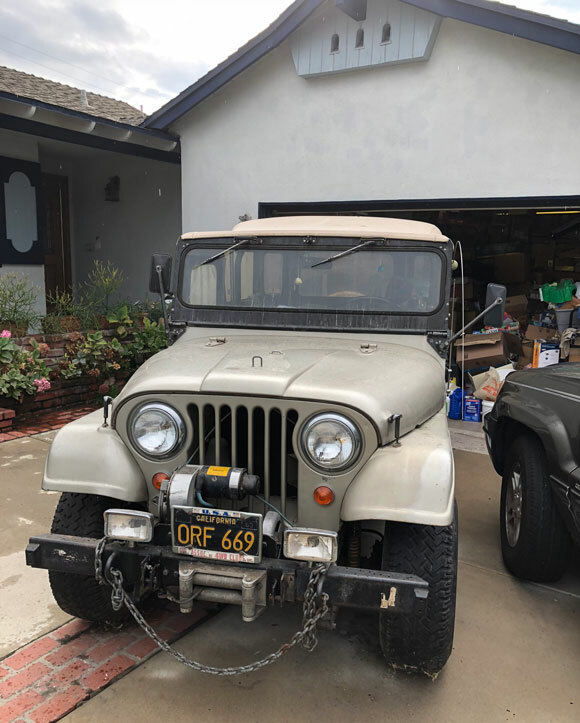 My father in law bought this 1964 CJ-5 from a Chevy dealership lot in Montebello, CA in 1965 or 66. He used it for Jeep runs with the ”Terra Del Sol” Jeep club in San Diego, CA and for camping trips until his passing in 82’. 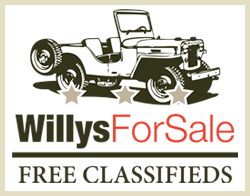 My mother in law sold me the Jeep in the late eighties after I maintained it and drove it once in a while, always garage kept. After I bought it from her I used it for recreation and camping until 02’ and parked it in the garage, then it became a storage shed. Fast forward 16 years later after kids and grandkid priorities and functions. 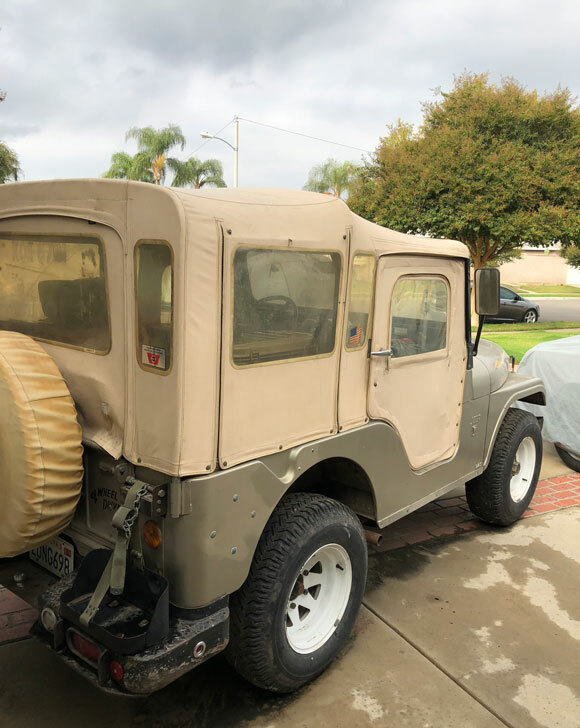 I found my CJ-5 hiding in the garage under boxes of stuff that finds its way into the garage only for a temporary time, HA, HA. 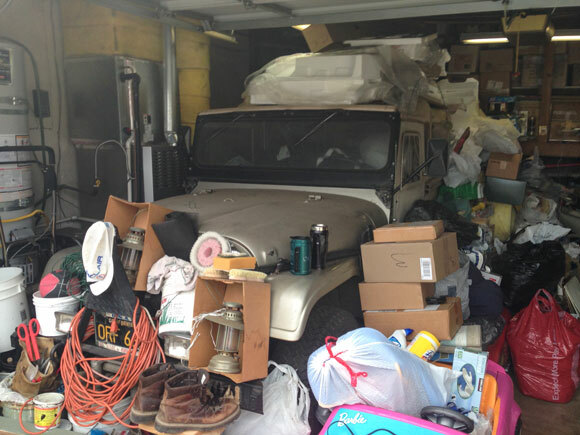 The picture in the garage is the CJ-5’s coming out to the daylight and the start to us bringing it back to life. It is in the process of getting prepped for restarting, unsticking the clutch & flywheel, rebuilding the master cylinder all from sitting too long and replacing the vintage 67’ Gates tires, yes 41 year old tires with tubes. The worst thing for any machinery is to let it sit and not be used, once again, lesson learned. 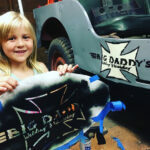 The family will once again enjoy riding, and Jeeping again, can’t wait! Kayline is the top manufacturer now out of business. 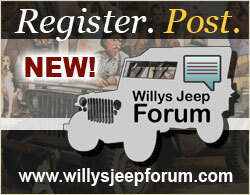 To Don Masters, the color on my jeep is the original color, amber to my understanding. 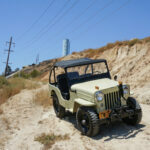 Great looking cj5 bet the grandkids will have fun riding and learning the history of the family heirloom. Terra del Sol area of the sun has been around for many years-the old goat smoking a cigar and driving a jeep. I met some of their members at all-4-fun week and enjoyed their company. 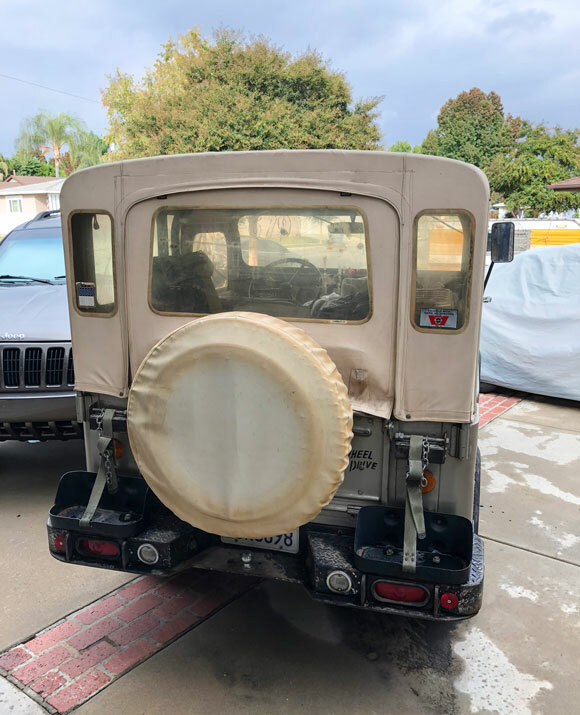 It’s possible your Jeep used to be our family Jeep when we lived in Claremont, Ca. If so, it would have been silver-bronze in color with holes on the hood where an air horn was mounted. Could be that footman loop was used to fill them. 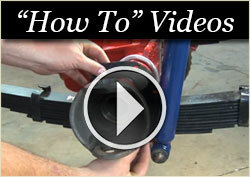 We removed the air horn before it sold. When it sold, it would have had: “Rump Buster” on it. That’s an awesome history and condition. 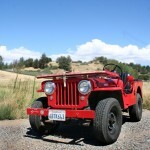 Similarly I have a ’64 CJ6 I bought from Carpinteria Mosquito Abatement District in 1967 when I was almost 16yrs old. 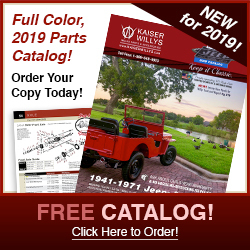 Still have it and resurrected it a few months ago after 25 years of storage to use on the family farm, but its not in the shape of your beautiful CJ5. Your father-in- law took great care of it. Keep up the legacy and enjoy it! Ps, the 10″ Armstrong tires on mine are 46 years old and great in the mud! Nice. I love the soft top. 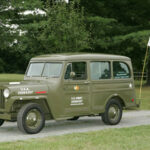 Cool CJ-5, and a good story too. I also was admiring the top. My 1966 CJ-5 would look much more like original with one like that. 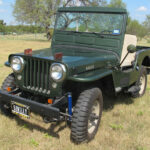 The jeep look great, I myself recently bought a 1947 CJ2A with 5,950 miles on it from a friend who’s father was the original owner. After his father passed away he was given it, I just bought it a couple months ago after it had been sitting since 1985 in a barn, this jeep had flat tires and old gas with original oil (with all original factory parts) . I drained and cleaned the fuel tank and replaced the fuel lines and pump, re piped the oil filter unit and gave it a fresh oil change, it was then ready to try and start. My first start up wasn’t bad after the fuel finally made it to the engine, this thing runs good and doesn’t burn oil!! I have been getting it ready for the road and have gone through every system on it, hopefully when it gets warmer I can drive it on the open road and who knows maybe we’ll see each other out there. Great to see someone else keeping the old Jeeps alive. Who makes the soft top in that style?